Well, seventy. This birthday hit last summer, and though I feel no different from sixty-something (or forty-something on a good day), I find surprises sprung all the same. One concerns fragrance. I've loved fragrance ever since my big sister, Jane, spritzed me with her Emeraude when I was ten. Through my teens, Jane passed along the bottom of her bottles, and treated me to quarts of Jean Naté at Christmas. At university, I'd scrape together the money for Menley and James' Love, whose suggestive shape was completely lost on me. Feigning a bit more sophistication, I then wafted for some years in Aqua Manda's spice souk. Once I had a job, an unfailing thrill involved a payday and the capture of a new bottle. For fifty years, scent has provided as reliable a pleasure as a cup of good coffee, clean sheets, a child's chortle. But sometime over the past three years, Mother Nature gave me a new 'nose'. Like my hair colour, it's a faint version of the original. I can no longer smell certain notes that once strode downstage, mainly musks and the subtler white flowers. I didn't realize that sense had diminished until I started reading references to the loss of smell and aging. On perfume blogs, some women said they could not smell particular fragrances, or discern a specific element, like hay or bergamot. (I'm not referring to anosmia, a medical condition that is sometimes temporary and may be caused by other medical conditions, or to olfactory fatigue, usually addressed by a "fragrance vacation" of a week or two.) A diminished sense of smell due to aging is not treatable. Like the erosion of hearing, when at first you think, Why are people mumbling?, you eventually must face that it's you. Jo Malone was only pretending to move her lips. I had already noticed my return to more assertive products, and in eau de parfum strength instead of cologne, never mind the wan eau de toilette. Two years ago, I started buying the patchoulis and pungent orientals of my bell-bottom days, thinking only that I "liked them again". The perfumed penny dropped when I applied a lavish spritz of Nuxe's Parfum Prodigieux from a tester, and thought, "Huh, nothing there after ten minutes." A full five hours later, Le Duc, who evidently has full olfactory firing, said, "New perfume?" Olfactory erosion is probably the reason why grandkids have memories of granny's signature cloud of Rive Gauche: she over-sprayed because she couldn't smell the intensity. For those who can't tolerate scent, this woman is as welcome as foie gras at a vegan potluck. The guideline that fragrance should be noticed only by those within your personal space is difficult to gauge when you can't smell it on yourself. So where once fragrance pleased me, now I accept that it's like wearing earrings: I can't notice, but it's satisfying anyway. Aging seems, to borrow from the title of Donald Hall's essays, "A Carnival of Losses". There are still many attractions to enjoy at this carnival, and if I can't smell the caramel corn from way down the midway, I can still line up for a treat. This is my excuse for ordering decants regularly: to learn which fragrances still deliver. If you're hunting too: Kay of perfumeniche.com has sent a new list of frugal frags, and those will be in the windows next week! Emeraude! I had not thought of that fragrance for decades! My sympathies on your olfactory change. For many years my sense of smell has been weak, I believe due to severe allergies. It's a bit sad when someone remarks on a fragrant flower in my garden and I don't get much of anything. Guess that's why certain fragrances do nothing for me, I just can't smell much in a certain range of scents. And now you're telling me that age will or is already, compounding the situation. Sigh. I too have checked out the Lush line. Some just disappeared on me but Cardamom Coffee smelled great and went the distance. Others that I will try again are Smuggler's Soul, I'm Home and What Would Love Do. Price is not too bad either. Realizing that I can't gauge how strong the fragrance will smell to others, I'm hoping a small spritz on my wrists and cleavage will not offend. Oh, I am sad for your loss of smell! Scent is a favorite topic of mine. I just "googled" my favorite from my teens and I found it instantly - Coty Sweet Earth Woods. $299 for a little compact of drug store perfume, can you imagine? I am searching for a fragrance for fall reminiscent of chrysanthemums. Thanks for the link to Perfumeniche. I could spend hours there! I've become more sensitive to smells. Picky picky picky. It's funny to think of Rive Gauche as something worn by a granny. But, hey, we are grannies by now, a lot of us. Yes, I too have noticed subtle changes in how I perceive some scents - at first, I thought it was just because my skin had become drier with age and was altering how the scent behaved, but then I realised it wasn't that. How true about the grannies with a heavy hand on the scent; I remember an elderly relative whose arrival was always heralded by a weapons-grade sillage of Youth Dew. It all makes sense now! One scent that I find still reliably delivers in terms of stability and being long lasting is Eau du Soir by Sisley (introduced in 1990 and a favourite of Diana, Princess of Wales). This may be because it does not, apparently, use synthetic compounds. Ahhh, Love! A junior high school favorite, along with Khus Khus :~). I've become more sensitive to fragrance, and have had to stop wearing most scents. The one which I love best, but which has absolutely no staying power, is Fresh Cucumber Baie. To me, it smells fresh and crisp. Still looking for a citrus-note scent that doesn't bug me. What I find most annoying and irritating is scented cosmetics. So sorry for your loss. It would be devastating for me if I lost my sense of smell as I think it is my most keen sense. I rarely smell women wearing perfume in Vancouver, or men for that matter – I think we are a scent-free zone. There are signs everywhere – "No Scents Please!" If I wear anything at all, it's usually Florida Water which is actually a man's tonic and I love the lime notes. I do believe it loses its power very quickly but I feel fabulous when I put it on. Muguet du Bois by Coty was my favorite everyday cologne from the time I was a teenager. I don't believe they even manufacture it anymore. I used to enjoy Chanel #5 for special occasions, but it doesn't smell the same to me anymore. I don't know if the ingredients used in that scent have changed or maybe it is just my sense smell. LauraH: Allergies are another reason for poor olfactory acuity. At least you have an excuse. Une femme: Jo Malone ( now owned by Lauder) is notorious for poor longevity, but thosr first bursts are glorious. Sisty: French granny friend wears it. Jane: Good point, many of us cut our fragrance teeth on huge and assertive fragrances. I’ll have to check out Eau de Soir. Most modern scents use synthetics, unless they are naturals and then they trumpet that they do not. Adele: I don’t like scented cosmetics either. I have written about natural fragrance, which you may be able to wear and can order as decants to test. See sidebar menu, fragrance. Vancouver Barbara: If unsure about sensitivity, I wear all-natural fragrance by Hiram Green. If someone cannot tolerate that, he or she should not walk through a park or past flower beds. Scents You Loved ( or something like that.) For various reasons all of them have gone through various forms of tinkering. 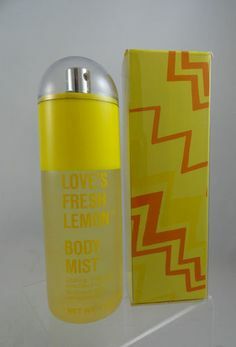 This was nostalgic and poignant for me because I used to love fragrance. My mother wore lovely scents and it seemed to me that everything smelled good on her. I had an official fragrance for my first wedding - Chanel No. 5. Alas, many fragrances now bring on an asthma related coughing spell, often bringing on dirty looks, sometimes from the fragrance wearer. I wish it were otherwise. Book Goddess: Developing an adverse reaction is a also disheartening, because smell is the sense many say is most directly linked to early memories, such as your remembrance of your mother. I persist in trying scents and I will wear the synthetics at home, naturals either in public or where asked. Smell is a sensory pathway I want to keep open, whether to smell perfume, baking bread, a linden tree or new book. (Also, if you can't smell, food does not taste the same.) It's a molecular world, brimming with smells. I hope there are other smells that you can tolerate despite asthma. Another shout out for natural fragrances and especially Hiram Green's.